Markets At Record Highs: Right Time For Profit Taking? The BSE Sensex and Nifty have hovered around their record highs in the last two weeks. The Sensex is well above 30,000 levels while the broader Nifty closed above 9,500 levels for the first time ever in May. 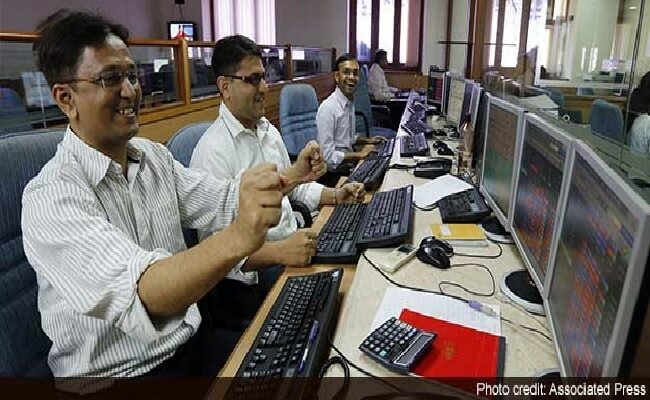 The surge in Sensex and Nifty was on the back of gains in heavyweight shares such as ITC, TCS, ICICI Bank, Reliance Industries, Bharti Airtel and HDFC along with upbeat sentiment on Dalal Street after foreign institutional investors resumed buying in Indian equities. A positive monsoon forecast has further eased concerns for rural focused stocks such as shares of fertilizer, two wheeler, tractor makers and Fast Moving Consumer Goods (FMCG) companies. With the extended record run at the market, many investors are wondering if the time is ripe for selling their shares and booking profits. While no investor wants to turn in his stocks early, just see further appreciation in the stock’s value. Holding on to a stock at its upper limit carries the inherent risk of sudden market devaluation. If the stock starts losing momentum: Remember bull rallies do not end when selling emerges, on the contrary bull rallies end when buying vanishes. When a stock is consistently losing momentum at higher price levels, it’s a classic sign for you to sell the stock. The rule of 72: The rule of 72 is used to calculate how many years it will take to double your money. For example if you got a 12 per cent return on your portfolio last year, it will take you 6 years (72/12) to double your money. Now assume you got into a trading position last month and the stock is up by 20 per cent now, as per the rule of 72, you will double your money in 3.6 months. To apply this rule ask your self whether it is possible to earn a 100 per cent profit by holding on to the stock for that much time. If not it is a signal to take profits off the table, advises Motilal Oswal. Too good to be true? If a stock position spikes in a matter of days or in case of abnormally high valuations on stocks where you are not fundamentally convinced, signals that you must offload the stock. Basic Technical Signals: A rising stock that makes higher tops is a positive signal, a falling stock that is making lower bottoms is a negative signal. Investors must also look at volumes, Motilal Oswal said, adding that stocks that show spurt in volumes when going down and weak volumes when they bounce signal underlying weakness. Watch out for liquidity in the market: If FIIs and FDI flows are slowing, it is a sign of tightening in the market, similarly RBI regulations can constrain liquidity. Hence keep an eye on call money rates. If these rates are shooting up due to poor liquidity, It is time to take profits off the table.